We are a family owned and operated full service hand car wash and detail center. Our family started in the car wash industry back in 1960 with our first location in St. Louis Missouri. We were the pioneers in this newly evolving industry paving the way with ongoing development and “Old Fashion Service”. Our expansion started with multiple sites in St. Louis, on to Chicago and then westward expansion to northern and southern California. 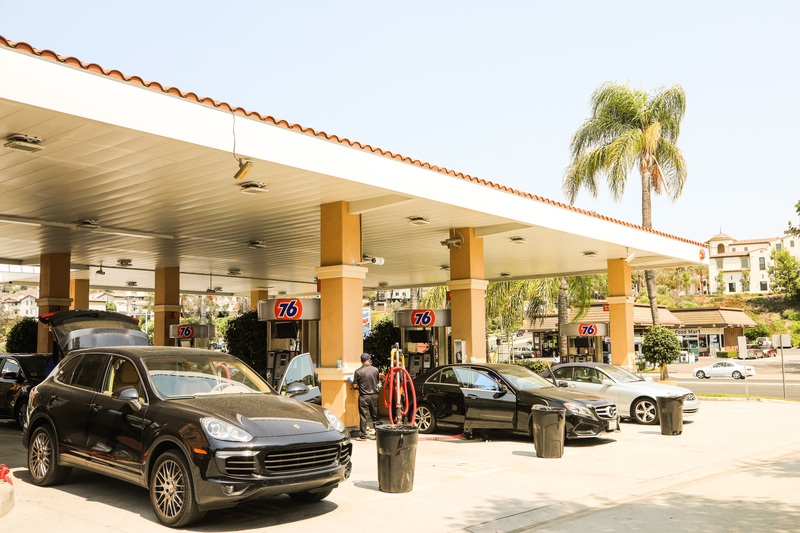 We take pride in setting the standard for new state of the art eco friendly car wash facilities. Our management team is under constant improvement attending seminars and ongoing educational programs when they are available. 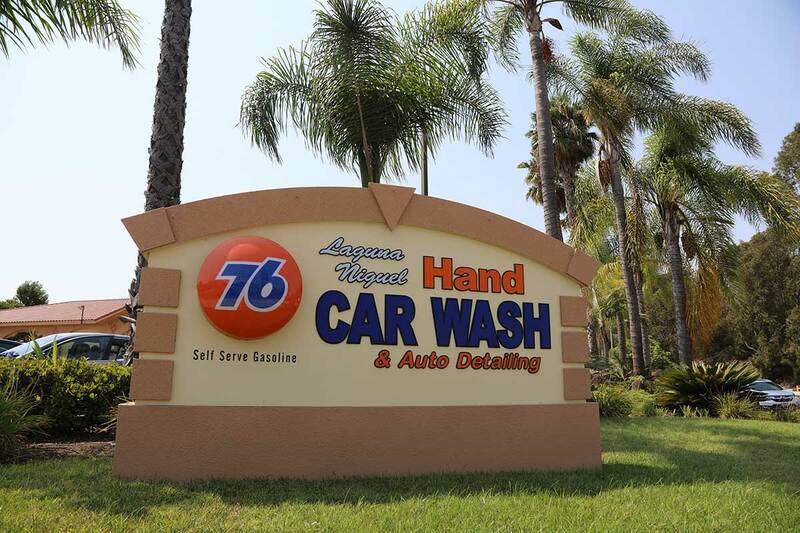 Laguna Niguel Car Wash is a 100% hand car wash, which means only the finest washing solutions and softest lamb’s wool mitts touch your vehicles surface. You will notice how shiny your car appears and if washed regularly at our facility it will remain shiny and stay cleaner longer. We live in this community and take pride in servicing your vehicle. We want you to be pleased with our services because we know you will tell your family and friends. Our Service is 100% Satisfaction Guaranteed! Our wash solutions are the most advanced cleaning and conditioning formulas on the market today. They are safe for all types of finishes and are designed to clean, shine and leave a protection barrier on your vehicles finish. It is more efficient and environmentally friendly to wash your car with us than it is to wash it at home in the driveway. Washing your car at home can waste up to 120 gallons of water in only 10 minutes and the soap, oil and grease will go directly into the storm drain that empties into our local ocean. Our system recycles our water and uses far less, operates with optimal water pressure, and our wash solutions are environmentally safe and certified “Green”. Here are some facts regarding your clear coat on the vehicle. The clear coat on the newer vehicles today is actually paint without the color added. It is a very thin layer on top of the color painted layer and this helps to protect from sun fading and the punishment from the environment. But this clear coat absolutely needs treatment to keep it protected from the elements and to continue the shine of the finish. Although the clear coat is a “protectant” it is thin and certain elements and light scratching will dull and damage this top coat. Should bird droppings or bugs get on the finish try and wash them off immediately or as soon as possible. The acid in the insects and droppings will heat up from the sun and actually penetrate the thin clear coat and leave a stain or impression that at times will not polish out. Light abrasions or scratches from parking lots and garages will leave a mark very easily and will be seen. Most light scratches can be color sanded and/or polished in our detail department. If you are not sure if your clear coat needs a detail service ask our advisors or managers for a quick evaluation. Although rare, during warm sunny days if the windshield on your vehicle is pitted or has rock damage the glass mar crack during the wash process. This is caused by cool water coming in contact with the hot glass. Once the windshield is pitted by rocks and debris from the road it becomes weakened. If you have any questions or need windshield repair ask our service advisors or managers for assistance.